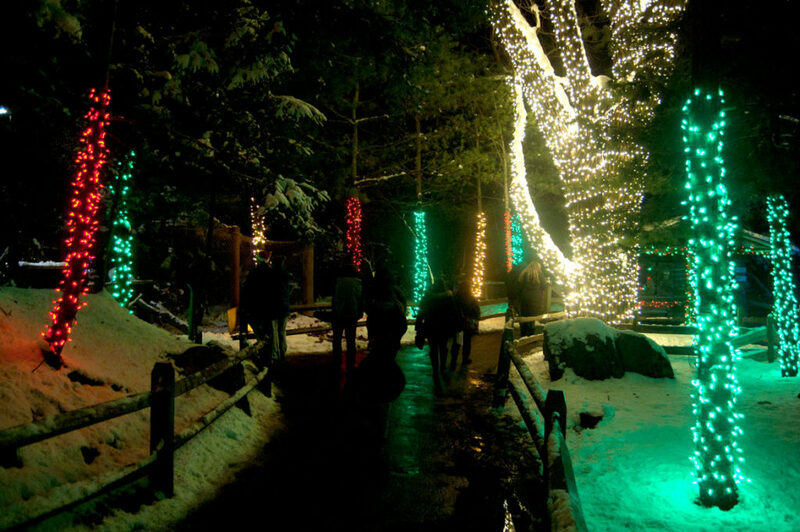 The 4-year-old was so excited to go to the Stone Zoo’s Intergalactic Night. 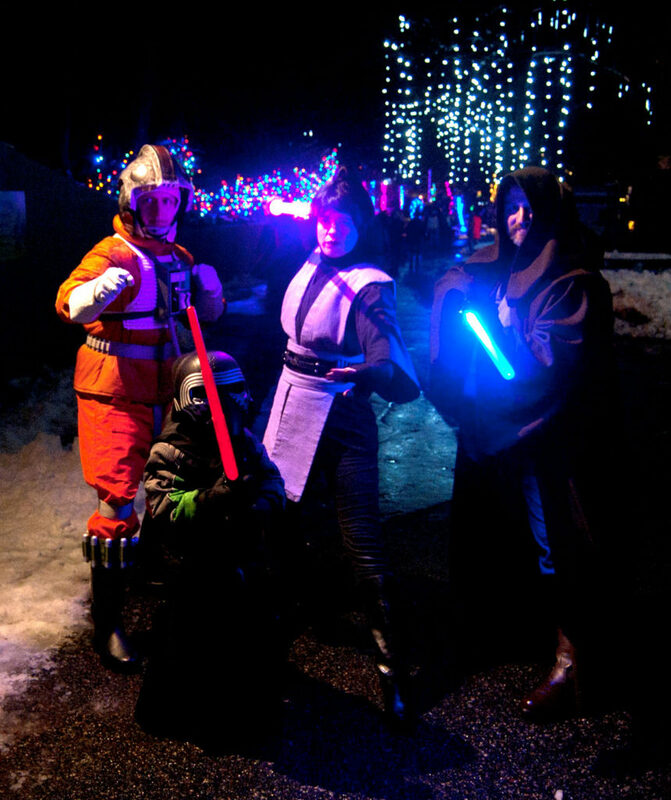 In addition to the Stoneham zoo’s annual twinkling ZooLights decorations (on view through Dec. 31), there would be local members of the 501st Legion and the Rebel Legion, Star Wars fans who dress up in movie-quality costumes. For days the 4-year-old kept excitedly asking if Intergalactic Night was tonight. And finally it was. 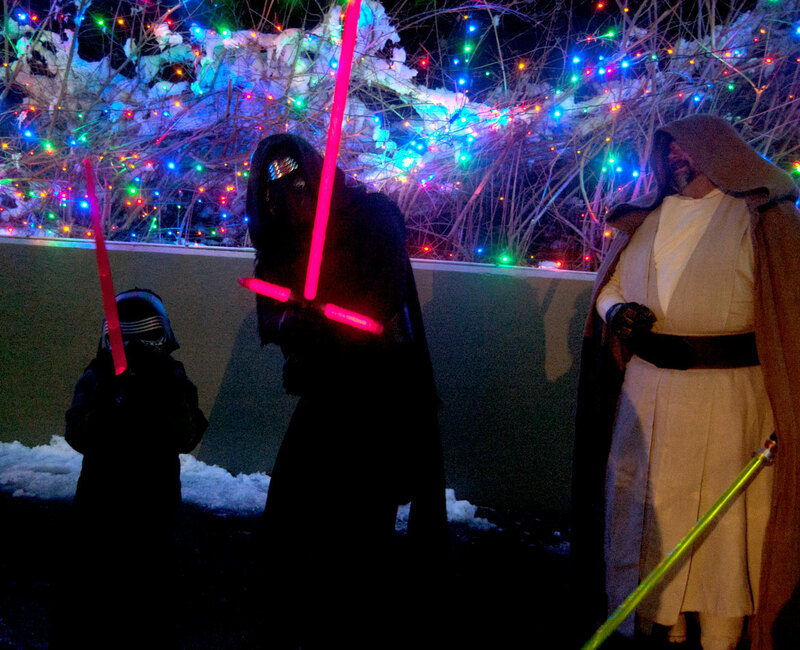 He dressed up in his Kylo Ren costume and red light-up lightsaber and we were off. 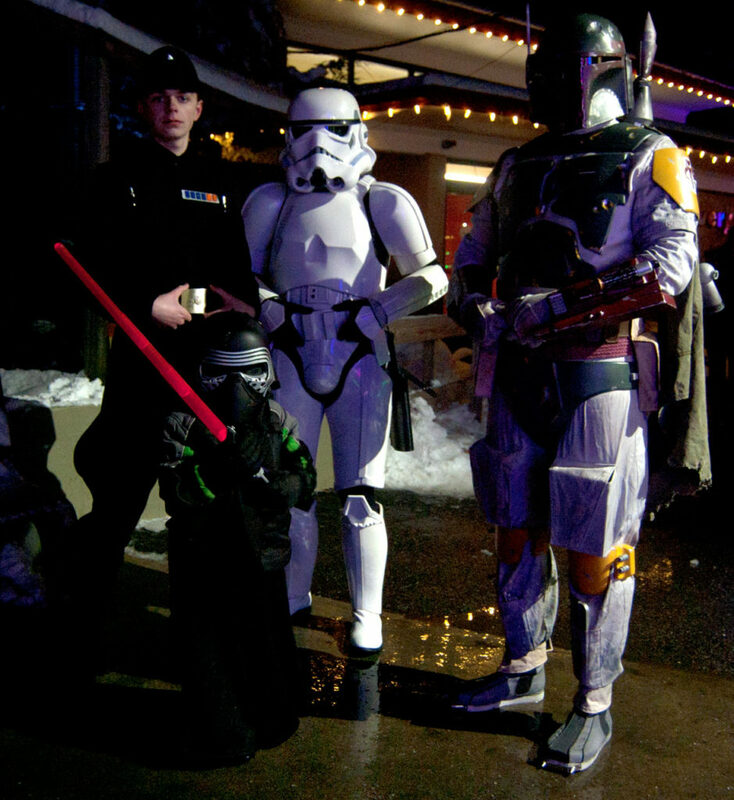 The first Star Wars folks we met were the bounty hunter Boba Fett and a Stormtrooper. Zoo staff asked to take a photo of Li’l Kylo Ren with the group—and asked us to sign away all rights to our likeness and all manipulation of it forever. Which we happily did so because, you know, The Empire. Then we met a Rebel pilot and a couple of Jedi. They happily posed with Li’l Kylo Ren as friends. Until I reminded everyone that they were actually enemies. 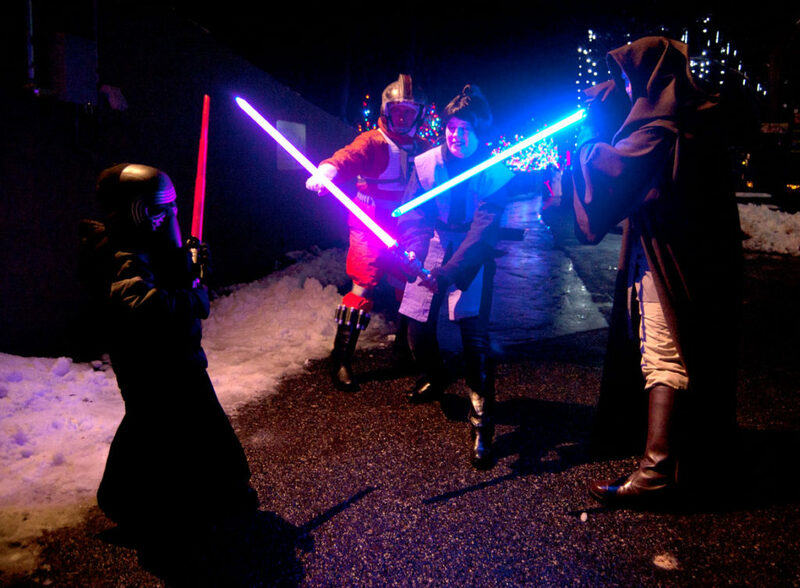 Along a dark path, we bumped into grown-up Kylo Ren, who kindly offered to let Li’l Kylo Ren hold his iconic lightsaber. Li’l Kylo Ren was having none of it. “That’s right. Don’t trust him. He’s a bad guy,” I hollered. We searched for Darth Vader. 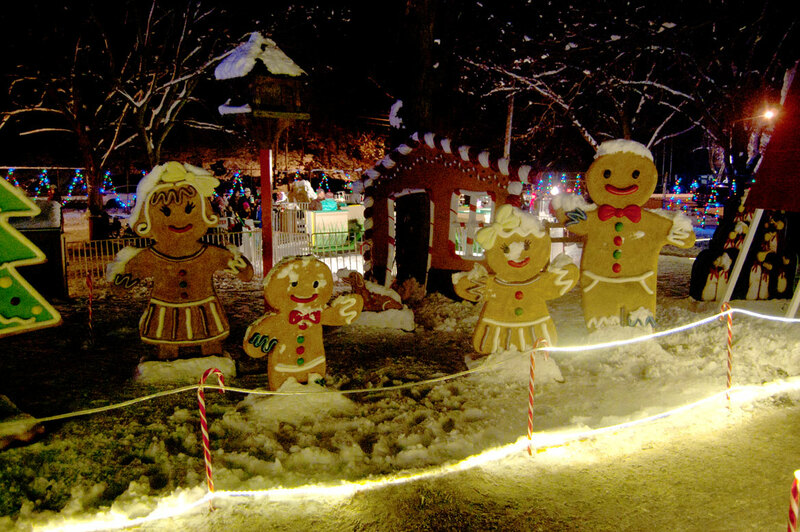 We wandered through the beautiful forest of lit-up trees. 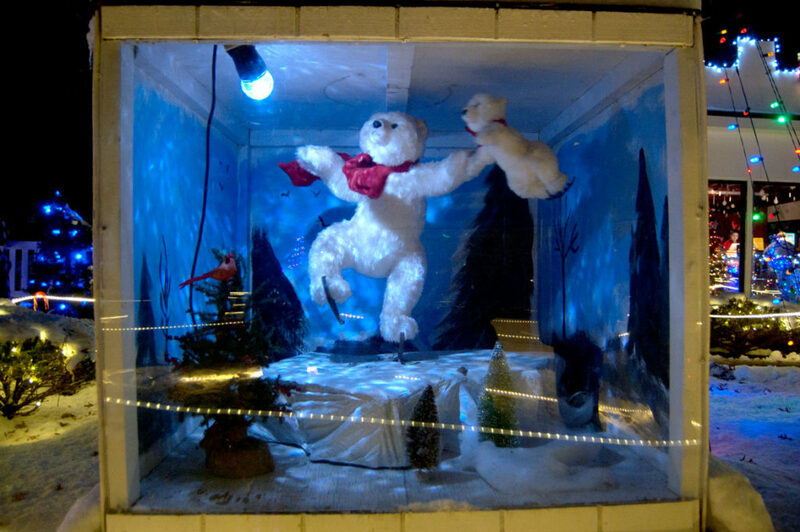 We saw some gingerbread people, a yeti and an ice-dancing polar bear. 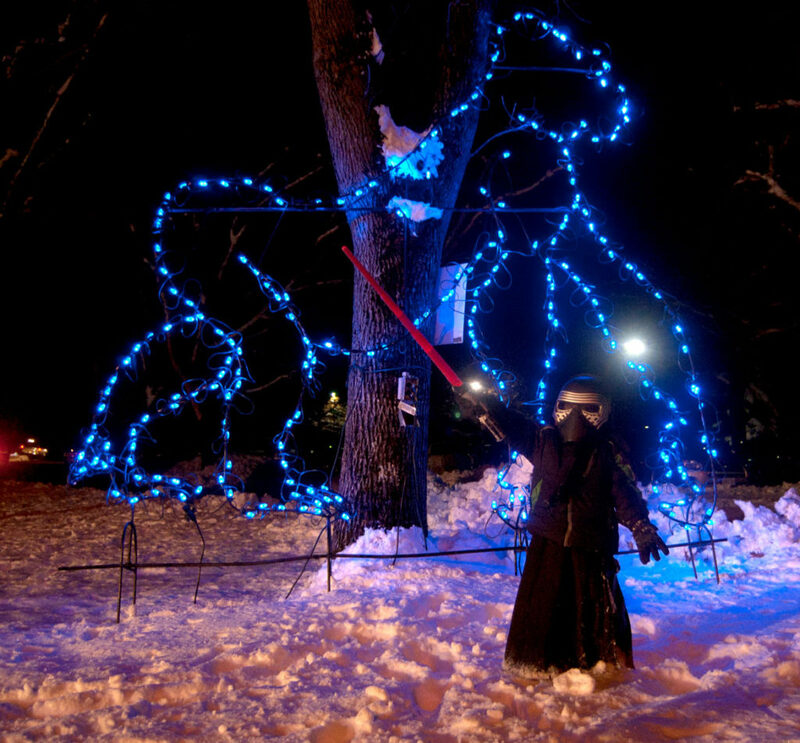 But we found no sign of the evil Sith lord. So Li’l Kylo Ren, thwarted again, could only yell, “Grandfather, I will finish what you started,” into the chilly zoo air.